No sooner have I written a post about the synergy between FB and blogging then it happens again 🙂 Again, hat-tip to Yvette d’Entremont, who posted a link to an article purporting to tell consumers how to distinguish between GM and ‘regular’ tomatoes. The writer of that article certainly wears their heart on their sleeve – just look at the title: “We’re Eating A Poison!” And they are wrong, wrong, wrong. Even the image at the top of their article is misleading. I did leave a polite comment requesting evidence to support their claims. It appears that the owner of the page didn’t like it. I am shocked! Shocked, I say! 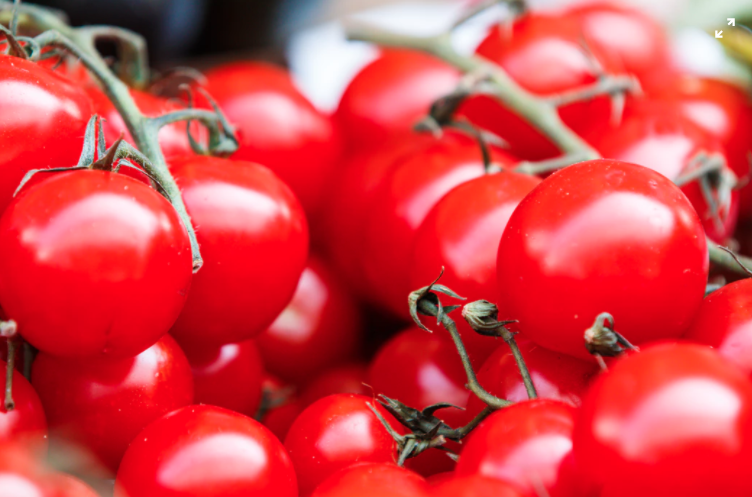 … currently there aren’t any genetically-engineered tomatoes on the market. There used to be one, the “Flavr Savr”, which came out with much fanfare in 1994. It had been modified to enhance its shelf life, but apparently was not a commercial success and was withdrawn in 1997. To date, nothing has replaced it, although there’s apparently quite a bit of research still going on into e.g. delayed ripening and resistance to pests and environmental stressors. 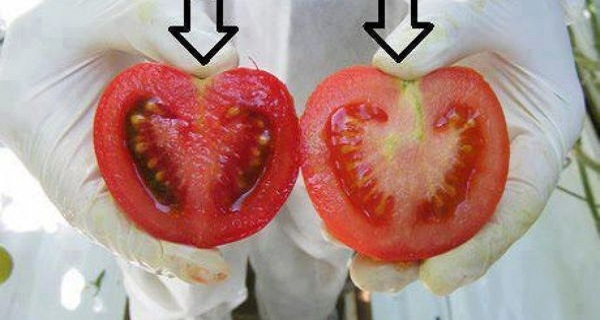 At this point it’s probably worth noting that the tomatoes we grow (or buy) and eat are themselves the result of centuries of modification by conventional selective breeding – and also techniques such as mutagenesis, which are not exactly ‘natural’. Nor are they subject to the same controls and rigorous testing required of any GM organism or product, despite the fact that mutagenesis creates much larger genetic changes than today’s very precise techniques for genetic engineering (think CRISPR). And yet conventional breeding methods can also cause problems: they led to the withdrawal of some potato varieties in the US and Sweden, because the spuds thus produced contained dangerously high levels of the poisonous compound alpha-solanine. On allergies – apparently the great majority of food-related allergic reactions in the US are caused by antigens from 8 foods: peanuts, tree nuts, milk, eggs, wheat, soy, shellfish, and fish. only GM soybeans are commercially available. There are a number of fairly stringent tests required of those applying to market foods with a GE component, and in New Zealand the results of these tests have to be reviewed by Food Safety Australia NZ. The goal of these safety assessments? The goal of the safety assessment is not to establish the absolute safety of the GM food but rather to consider whether the GM food is comparable to the conventional counterpart food, i.e., that the GM food has all the benefits and risks normally associated with the conventional food. So far no food derived from GMOs has been found to cause new allergies. TL;DR: a scary headline and some scary ‘factoids’, unsupported by data of any sort. Colour me unimpressed. 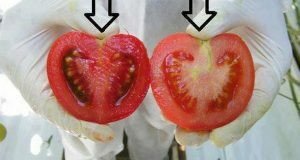 A And in fact, a reverse image seach on google brings up a large number of iterations of this image, including several pages that make it clear that the paler tom of the two is supposedly the ebil GMO version. They clearly avoid letting the facts get in the way of a good story. B Novella has a couple of more recent posts on this subject here and here. The second link makes for fascinating reading.